Let’s Celebrate: It’s Our 3rd Anniversary! Sweaty palms, tightened throats, anxiety about off-notes and forgotten words…what were we getting into? 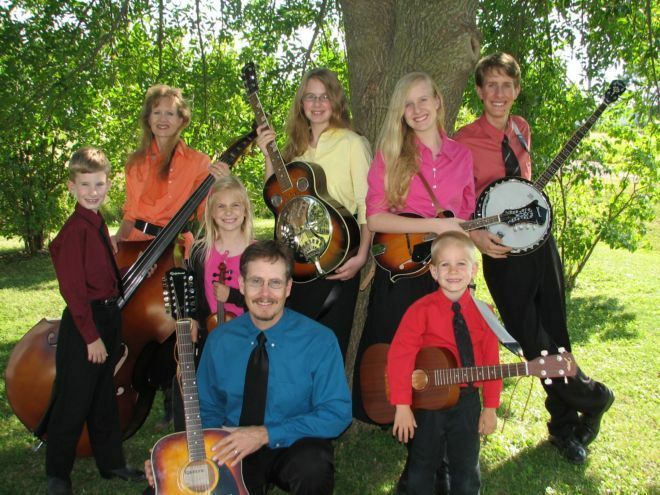 It was Sunday, June 29th, 2008 and we, this unknown family who just loved to sing around the keyboard, were opening for a Southern Gospel group, Living Sacrifice from Missouri. – A white bus sits in the driveway and Mom is at the kitchen table sewing curtains for its windows (wow, she is brave!). – Most of the sound system is set-up in the living room, and around the room are scattered over 22 instruments. – Dad is making a Great Adventure contact call, and I just added two more concert dates to our schedule for July, making a total of eight concerts. – We’ll be practicing yet today for our two concerts this weekend and Mom and I have to put together a program for both of those events. Did we expect this when we stepped on stage to perform our three songs before Living Sacrifice’s concert? Did we envision this? No! Wow, look where God has brought us! We had dreams, but not plans. We had passing thoughts, but never really expected it to happen in reality. It has been a journey of joy mingled with trials and tears. We have learned much, prayed much, played much, and met so many wonderful people. To be bearers of the Gospel of Christ through music and message, words and lives is the most awesome responsibility we could ever have. We have so many wonderful memories and are looking forward to making many more. On to another year of Great Adventures! We were at a concert at Lord of the Lakes Lutheran Church back in June and I was enjoying talking with a gentleman there about the beginnings of Great Adventure. When he would ask questions about our ministry, the first words that would come out of my mouth were usually “It’s amazing!” and then I would proceed to answer his questions. It seemed my tongue was programmed to repeat this phrase over and over again. Later that evening as I was processing my day and my conversations, I realized that I was speaking the truth with this simple sentence. The growth of this ministry has been truly amazing! The doors God has opened, the places we’ve visited, the people we’ve met, the lessons we’ve learned – all of these have been amazing. We celebrated the one-year anniversary of our first official public appearance on June 29, 2008. On this day, Great Adventure Gospel Band sang at North Isanti Baptist Church in Cambridge, MN as the opening group for Living Sacrifice, a mixed quartet from Missouri. What a wonderful time it was, and a great learning experience! We sang three of our best songs (at the time they were anyway!) and received a good response. Through our mistakes and difficulties, God chose to bless us. It was amazing! 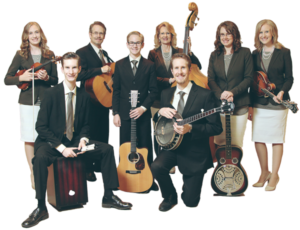 We have played for small groups of seven at assisted-living homes and played for hundreds of people in a large church or outdoor event. We’ve weathered cold and rainy outdoor picnics, and survived sticky, humid concerts at local parks. The church denominations we’ve played at have varied as well: Lutheran to Baptist, Assemblies of God to Evangelical Free. The people we’ve met have also left an impression on us: The man who danced to our music, the mother who asked if she could come home with us, and the widow who needed to hear the songs we sang. The tears and laughter have been unforgettable. Our voices have matured and instrument playing has improved. (At our concert at North Isanti last year, I could only play a deadened chop, while now, I can play full bar-chords! Only mandolin players can relate to this!) 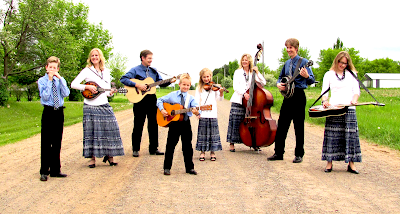 The Lil’ Adventurers have grown and their love of music has expanded as well. So many people have encouraged us over the past year as well. Pastor Anderson and our home congregation at St. Stephen’s Lutheran, Grandma Frieda Garms, Bob and Carol Wood, Curt and Lois Olson, and Larry and Lois Gustafson from North Isanti Baptist, Pastor Walt and Lee Reese, Bill Holbrook from River of Life Productions, the Berge family from Bemedji, the Gospelmen Quartet from Michigan, Terri Toney and the Toney Brothers from Tennesse, and SO many more! This year has been a year of blessings as well. For instance, we had been praying for a trailer to meet our transportation needs. Then in April, God provided just the right one for our family! He has also been blessing us with funds for a future CD.